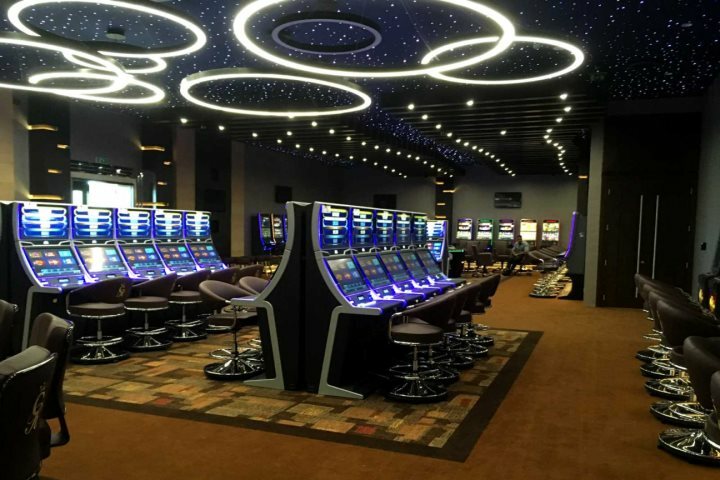 Last December, Cape Verde’s first ever casino opened in Santa Maria, Sal, next-door to the soon to open Hilton Cabo Verde Sal Resort. Adjacent to the luxurious Hilton hotel on Avenida dos Hotéis in Santa Maria, the Casino Royal Sal Cabo Verde offers a great night out. A stylish and luxurious entrance hall leads gamers into the casino itself, where you’ll find a variety of state-of-the-art slot machines, including electronic roulette, as well as card tables for Black Jack and Poker, and five Roulette tables, all with professionally trained staff. There’s also a VIP area for special guests, however, Casino Royal believes that everyone ‘from the rookie gamer to the seasoned high roller deserves around the clock VIP treatment’. And they pride themselves on their excellent customer service. Having opened towards the end of last year, this casino has already established itself as the venue for an exciting night out with friendly staff, a great atmosphere, and delicious cocktails. Try your luck with the spin of a wheel! The casino is currently not serving food, however, once the Hilton is open from September, food will be introduced and prepared and served by the Hilton. Local currency cannot be spent, only Euros. Please note that although attached to the Hilton, Casino Royal is independently run by the Senator Group and there is no access to the casino from the hotel. For more information visit Casino Royal Cabo Verde Sal. Tempted to book a holiday at the new Hilton Cabo Verde Sal Resort?